A new generation of theatre practitioners are emerging and they are telling stories that cut across the multiple-facets of society in a visceral manner as they take on the themes of multi-culturalism, identity, parenting, relationships and much more through the diaspora point of view and voice, about their heritage as Africans born and raised in Britain, but realise that they belong to both worlds. Starting today at the Royal Court Theatre, London, the Olivier award-winning playwright, Bola Agbaje returns with Belong, a satirical play that questions our notion of home. 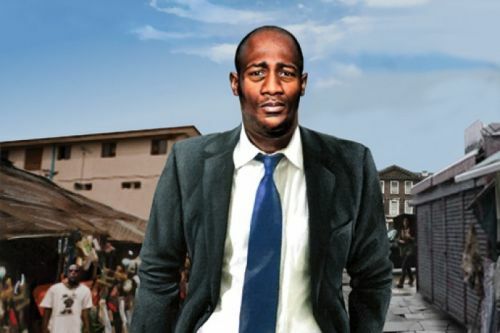 A play that moves between London and Nigeria, it follows Kayode, a British MP, who loses an election in London and decides to go back to Nigeria – a country he thinks he knows. Against his better instincts he gets drawn into politics and finds himself battling with a powerful local politician. Belong examines where we belong – or where we think we belong as Kayode begins to question where he truly belongs and confronts his multiple identities during the course of the play. Belongs also aims to show Nigeria as a modern, complex, important country and provide a different story to those often in the media. Agbaje has been described as one of the great talents of her generation of playwrights. Like her previous offerings, Gone Too far and Off The Endz, she returns to the theme of identity and politics, which will resonate with theatre goers. With a cast that includes, Lucian Msamati (Tiata Fahodzi’s artistic director in the role of kayoed) Jocelyn Jee Essien, comedian and actress (Three Non Blondes and Little Miss Jocelyn) and Richard Pepple, this is bound to be another love affair between the critics, audience and Agbaje. Belong is at the Royal Court Theatre until 26 May and then moves to Theatre Local – CLF Art Café at the Bussey Building, South East London, until 23 June. This entry was posted on Thursday, April 26th, 2012 at 8:54 am	and is filed under Africa, African Diaspora, Art and Culture, Black Britain. You can follow any responses to this entry through the RSS 2.0 feed. You can leave a response, or trackback from your own site. Amazing! I think that the now popular thematic direction of most contemporary literature,film and theatre is an indication of the cultural awakening sweeping across Africa. It’s reminiscent of the period of the great renaissance in Italy. Identity and culture represent that irrepressible yearning in all humanity for significance and community. We cannot find or define our identity in isolation,We are part of a collective whole. It becomes complex when we find ourselves on the fence,not knowing where we belong,not knowing where best deserves our allegiance. We all want to belong,to beat our chest and say I am this or I am that. This, I think is Kayode’s dilenma. In his book,”Dreams from my father” Obama did talk about his confusion and feelings of alienation when he realised that he could lay claim neither to being black or white. In his own words, he was “A divided soul” torn apart by three continents, Africa,Asia and America. There is a powerful aspect of identity that if understood,becomes a force of change. It’s the maxim that out of many we are one,that what ever our cultural,religious,political or social identity,we belong to a larger ethnos,a larger family,the human family. It’s from this family that we derive our true identity, we all share a common humanity. It’s this understanding that caused Rosa parks to stand her ground and birthed the civil rights movement of the 60’s. It’s the power of this understanding that resonated in Dr Kings voice as he spoke of his dream to over 200,000 people, the same that drove feeble Ghandi against steel willed united kingdom and enabled Mandella endure 23 years of incarceration. Perharp’s as we begin to explore this theme of identity in various art forms,we can begin to reconcile our past to our present and future. The movie, The Mirrow Boy is a beautiful rendition of the search for identity by Africa’s diaspora. It’s an adventurous story of a 10 year old boy who returns to Africa with his mum after having Lived all his life in the Uk. He gets Lost in the jungle and meets some really scary natives who take him on a Journey to discover the other side of him self,in a world of jungle,and music and rituals,his true world. You can read my interview with the movies director Obi Emelonye,here- http://www.theemergereview.blogspot.com ,Can’t get the url now but the title is- Obi Emelonye, Heading for the Oscars! Thanks Chidi for stopping and taking time to read. Appreciate your analysis and pov. Well done on the blog.